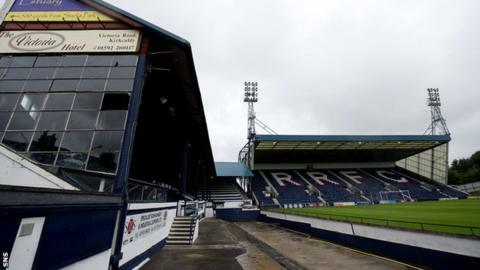 The First Division match between Raith Rovers and Partick Thistle has been postponed due to a waterlogged pitch. A local referee deemed the Stark's Park surface unplayable following a 10:30 GMT inspection. Brechin City v Stranraer in the Second Division failed a pitch inspection for the same reason half an hour later. There are no other matches in the Scottish Football League are under threat.